Like us for Free Gifts, Monthly Promotions & interesting articles. Myanmar's best Manufacturer & Distributor of Bakery Products. Myanmar Mayson Industries (MMI), was founded back in the year 1996 by a group of people which shared the same vision and goal on the potential market in bakery and confectionery products in Myanmar. MMI very first factory set-up was then situated at Hlaing Tharyar Zone 1, Yangon, Myanmar. Within 4 years of hard work, MMI had make a break thru on their 2nd second factory with larger manufacturing facilities in order to meet the greater demand of bakery products in the country. To delight true sense of freshness to consumers with best quality product with our values, our dedicated people and efficient of nationwide distribution network. In the year 2012, with the positive business acumen and entrepreneurship, and in preparation for tremendous growth in the future and in line with the vision and strategy, MMI proceeded to invest in the new multitasking plant, office and warehouse which was completed and commenced operation in mid-2013 located at Shwe Thanlwin Industrial zone in Yangon, Myanmar. MMI, being consumer-focused and branded food company had succeeded in consolidate it's position at the forefront of the nationwide bakery industry with wide array of quality bakery products and continue to be the No. 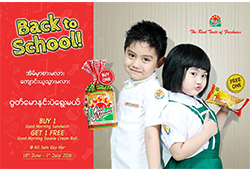 1 choice and market leader in bakery and confectionery segments in Myanmar. 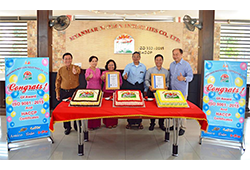 Myanmar Mayson Industries (MMI), was founded back in the year 1996 by a group of people which shared the same vision and goal on the potential market in bakery and confectionery products in Myanmar. MMI very first factory set-up was then situated at Hlaing Tharyar Zone 1, Yangon, Myanmar. Within 4 years of hard work, MMI had make a break thru on their 2nd second factory with larger manufacturing facilities in order to meet the greater demand of bakery products in the country. Like us for Free Gifts, Monthly Promotions & interesting articles. Myanmar's best Manufacturer & Distributor of Bakery Products. In the year 2012, with the positive business acumen and entrepreneurship, and in preparation for tremendous growth in the future and in line with the vision and strategy, MMI proceeded to invest in the new multitasking plant, office and warehouse which was completed and commenced operation in mid-2013 located at Shwe Thanlwin Industrial zone in Yangon, Myanmar. 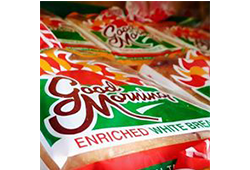 MMI, being consumer-focused and branded food company had succeeded in consolidate it's position at the forefront of the nationwide bakery industry with wide array of quality bakery products and continue to be the No. 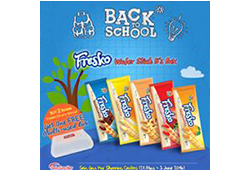 1 choice and market leader in bakery and confectionery segments in Myanmar.